I have to run all over the house searching through drawers, closets, boxes, etc. 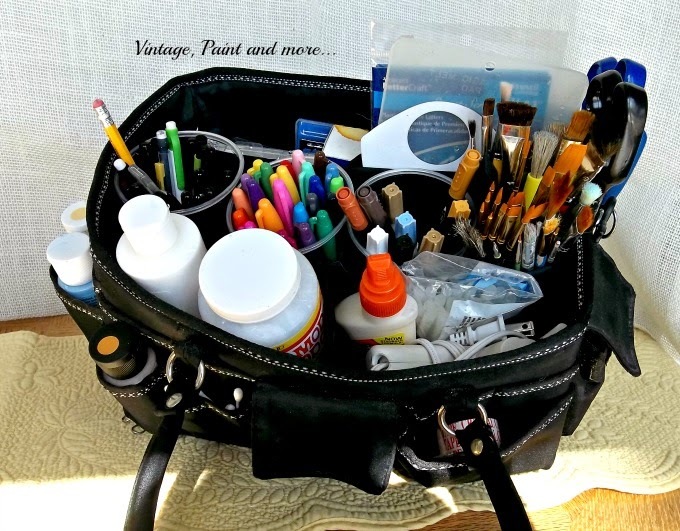 to find my craft tools I use. so I didn't get so frustrated trying to gather them together. for some reason I almost always find myself crafting at the dining table. no telling where these tools wind up. 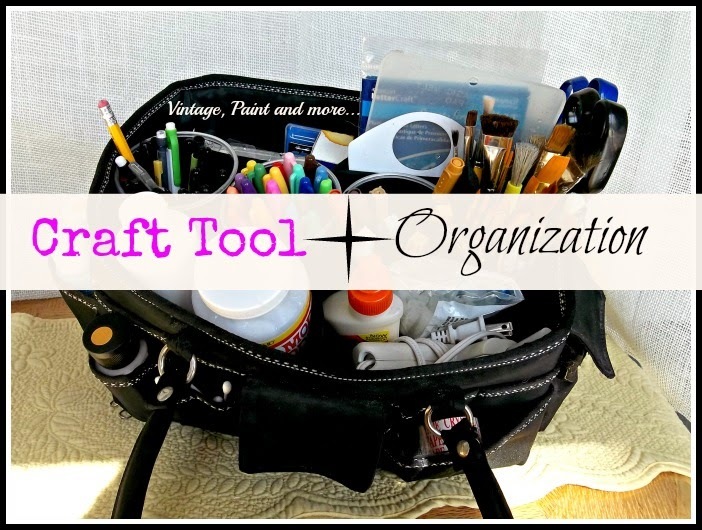 most used craft tools together in one place. As I was looking for something to help corral them that was easy to use. a tote from my scrapbooking days. When I saw it in the garage I thought "why not?" 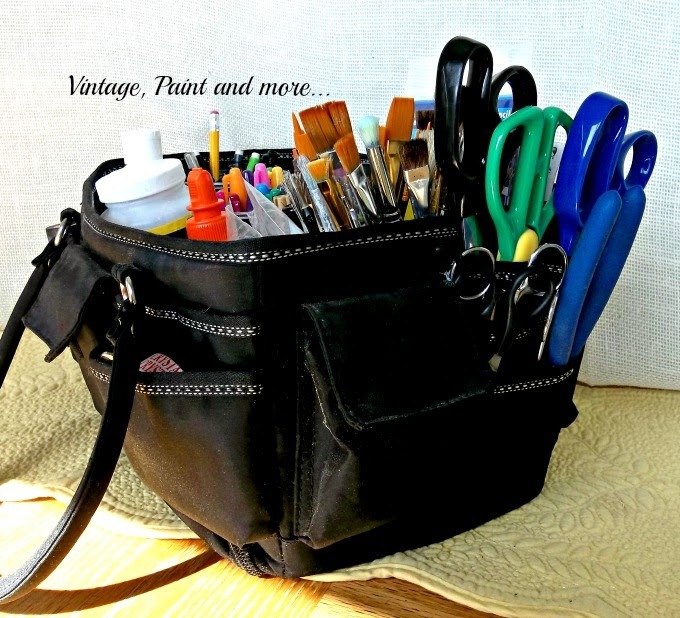 perfect for my craft related tools also. not scattered all over the house. tape, stapler and so on. This is a view from the top. Even my glue gun, glue sticks and most used stencils fit in here. There is still some space for a few more things. in one place rather than all over. An added bonus is - it now keeps my workspace clean also. scattering them all over the table and "losing" them. it's actually working for me. carry it back to the craft room..
in an easy to find area? Would love to hear about your solutions in the comments. 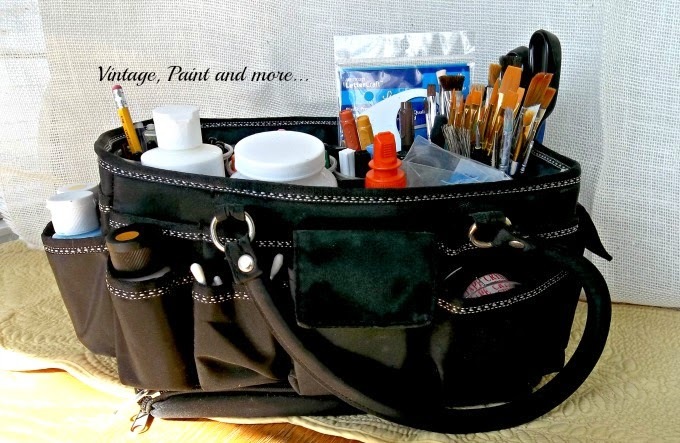 That looks so organized and what a lovely idea to make it all portable and still neat. Great work Cathy . Loved it! Cathy you are very organized! You put me to shame! LOL! Great tool bag. I bought a tool organizer for my son at Christmas that I might have to steal back. This is such a smart idea. 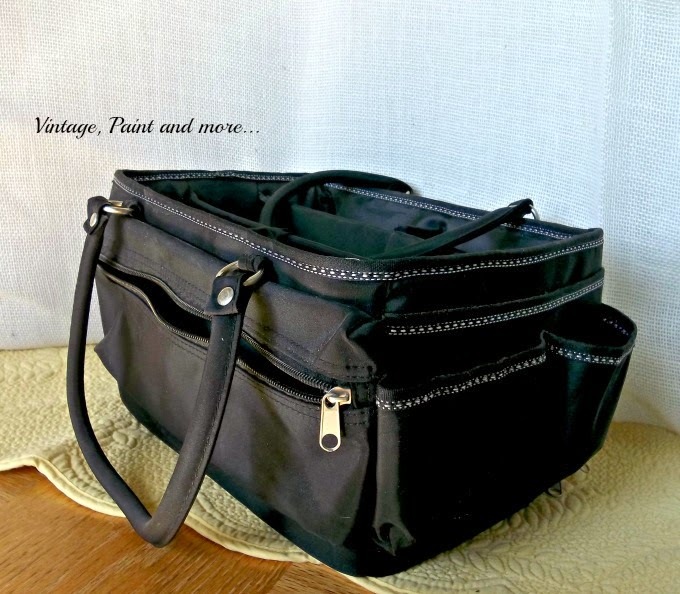 And I don't have a shortage of old purses or totebags I could do this with. Love it! Pinning! Now that I have a creative space, I have a little 3 tiered cart from Ikea. It is great to wheel it around the room. I can find everything and I know right where to put things when I am done.